A rainbow and intense clouds above the badlands. The desert only received a few drops of rain from this storm. 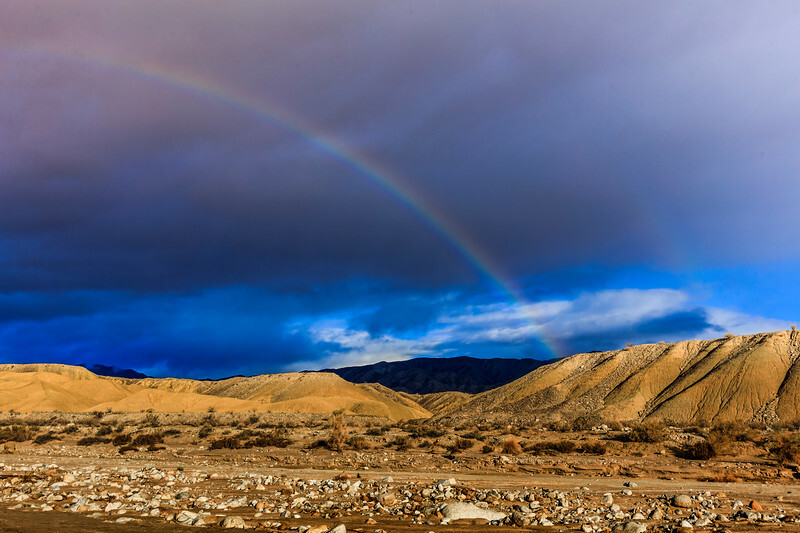 Shot on the morning of March 17, 2018 in the Split Mountain area of Anza-Borrego Desert State Park. Canon 6D.